Getting extra income isn’t just about finding a part time job or working from home for dodgy companies, stuffing envelopes or making puppets. There are easier and more reputable ways of making money and getting your hands on extra cash that don’t involve working all hours or paying someone for a ‘starter pack’ that you never hear from again. It may not be spring but there’s always a reason to clear out the clutter. Why? Because people will buy it. Selling your unwanted items could be great way of making a second income, and be fun, too. Have You Got An Old Mobile Phone? Most of us keep hold of old mobiles when we upgrade – just in case. But do we ever use them? Probably not. You can make some money from the phones lying around in kitchen and bedroom drawers, and there are companies that will even pay for the postage. You can make up to £100 on some newer, flashier models, and you can check online to see how much you could get for yours. It’s possible to make a lot of money selling old items on eBay, although you do have to put in some effort. 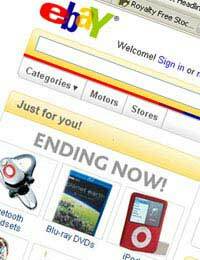 The site regularly holds cheap listings days where you can list your unwanted items for 10p each. If you have lots of things to sell, it can be the best way of doing it, and will just mean a few hours on the website uploading images and product descriptions. If its books you’re selling, Amazon is a good option as they already have all the details of the books and CDs by their ISBN number, which saves you time. Books, CDs and DVDs don’t tend to be great sellers on eBay, and Amazon doesn’t charge you for listing, you only have to pay anything in commission if the item sells. Do you have a tale to tell – a bizarre, heart warming or interesting story that you think would appeal to magazine readers? Sell it! Some magazines pay good money if you’re prepared to tell them your story exclusively, and there are websites set up for people to post their details on to provide case studies for magazine articles. Some publications pay for short stories, letters and photographs – sometimes up to £50, for a letter. Stories can be sold for £200 to some of the weeklies. There are websites crying out for reliable people to carry out web-based research for them, such as Any Question Answered. When customers text them with questions, they pay a set fee and the researchers will be sent a text with the question so that they can go off and find the answer. The downside is that you will have to pass a test to be accepted, and the test can be quite tricky. You also have to keep your eyes open for vacancies, but the money is easy enough and the hours and subject areas are yours to choose. You earn around 30p per question but if you have time on your hands this can mount up. If you have a spare room that you don’t mind sharing with someone, taking in a lodger is a good tax-free way of making extra income. Take in a lodger - tax free. The ‘rent a room’ scheme allows you to have a lodger living in a furnished room in your house, and what’s more, you don’t need to pay tax on the first £4,250 you make each year.